Truth be told, there’s no specific schedule to when your heating and cooling system could get broken or simply stop working. There are many reasons this could happen such as lack of proper and regular maintenance or the HVAC system is just too old and already due for replacement. 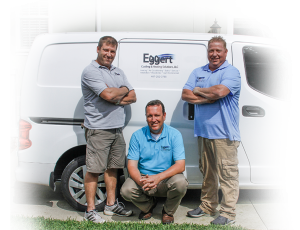 No matter the reason, Eggert Cooling & Heating Solutions is here to help you out anytime you need us through our emergency service team. Our services are available 24 hours a day, 7 days a week. If you need repairs no matter the hour, we can be around to help you out. We take pride in our team of experts who are extensively trained to assist you in all your repair needs for your cooling and heating system at home. In fact, we offer services for residential, commercial, and industrial properties. We keep our services top notch and our prices fair, which makes us a top cooling and heating company in Apopka and nearby areas. We continue to succeed in the business because we proved to our clients over the years that we are reliable enough to be around when they need us the most. Since there’s no telling when emergency service is needed, it is best to have a go-to company to call when you need repairs. For instance, especially when you discover problems with your heater or cooling system on a weekend, it could be stressful and frustrating to have to wait until the next business day. When you need emergency service for properties in Orlando, Apopka, Clermont, Maitland, Lake Mary, Winter Park, and other areas in Central Florida, we are the company to call. You may reach us at 407-252-3785 for a free estimate.